International Collective Exhibition of Contemporary Art. FORUM FACTORY, Besselstraße 13 Berlin. 15-19 February 2014. Opening February 15, 6-9 PM. 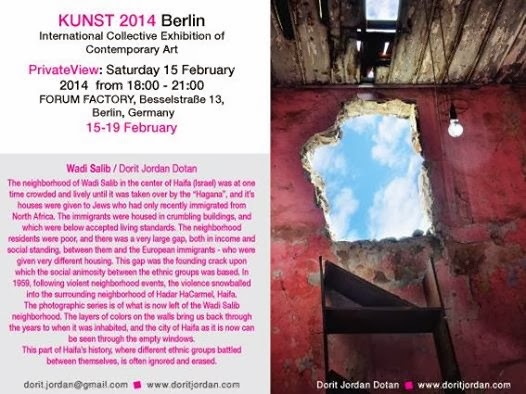 Dorit Jordan Dotan will be exhibiting photographs from the "Wadi Salib" Project. The neighborhood of Wadi Salib in the center of Haifa (Israel) was at one time crowded and lively until it was taken over by the “Hagana”, and it’s houses were given to Jews who had only recently immigrated from North Africa. The immigrants were housed in crumbling buildings, and which were below accepted living standards. The neighborhood residents were poor, and there was a very large gap, both in income and social standing, between them and the European immigrants - who were given very different housing. This gap was the founding crack upon which the social animosity between the ethnic groups was based. In 1959, following violent neighborhood events, the violence snowballed into the surrounding neighborhood of Hadar HaCarmel, Haifa. 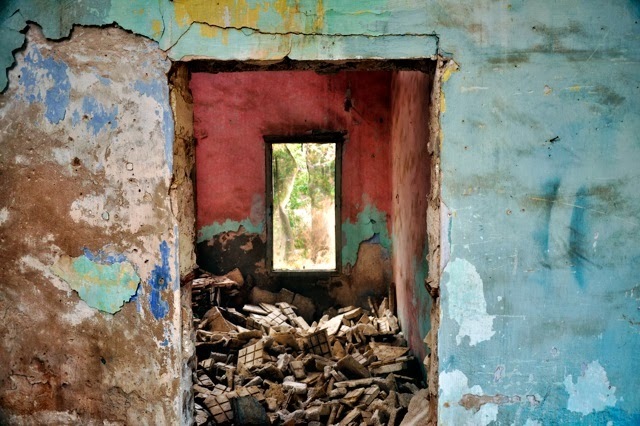 The photographic series is of what is now left of the Wadi Salib neighborhood. The layers of colors on the walls bring us back through the years to when it was inhabited, and the city of Haifa as it is now can be seen through the empty windows. This part of Haifa’s history, where different ethnic groups battled between themselves, is often ignored and erased.